As far as updates go, this is a pretty big one for Parkitect [Steam, GOG, Official Site]. Let's take a look at what's new now it's officially in Beta. I think it sounds pretty incredible and really quite realistic, it's certainly going to be a lot more immersive now. The audio work is the biggest change for this release, however there's also a lot of smaller changes. 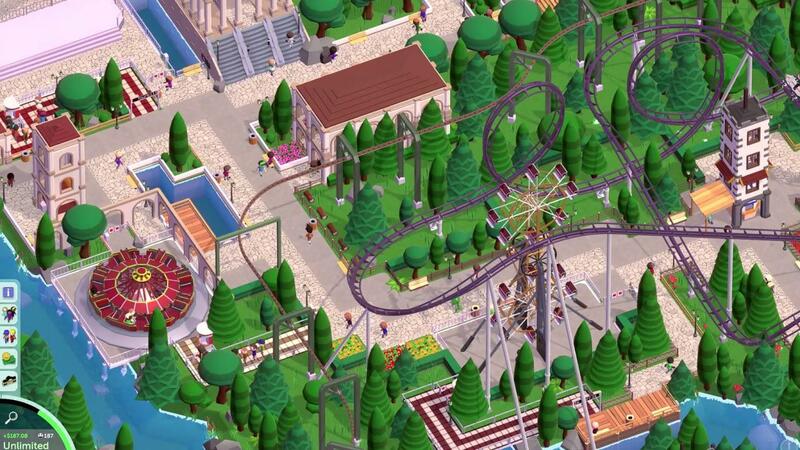 They've also included more options when starting a new game, a new powered coaster, new rope fences, a new tree and bunting decoration, LOD fading, improved park loading times by ~40%. They've also added in alternate trains for the Monorail, Spinning Coaster and Bobsled. While the game is still far from finished, it's really starting to come together rather nicely. I think it's worth picking up even now. See the full changelog here if you wish to see everything. I remember time when alpha meant "features are still missing, but can be played" and beta meant "feature complete, now we hunt bugs". Nowadays it just seems to be entirely arbitrary for most developers. Not that it would mean anything bad for the game, but I vastly prefer clearly defined terms. It looks like it could be fun but I’m also waiting for a campaign to consider it. And a real one, not a tutorial (I’ve been bitten by Prison Architect already). The price goes up from time to time, they announced it several times, and they even remind people before the deadlines "next week it will be more expensive blah blah" so i'm perfectly fine with this policy. Parkitect is an excellent game and was one of the best alpha for me so far, with almost never missed weekly devlog, and monthly update, since mid-2016 (i jumped in with Alpha 2 i think). Purchased this last year and I finally had another go today after reading this article so thanks for the update. The improvements since last trying this are impressive to say the least. I have also enjoyed building the custom building shells for shops and service buildings as well as decorating my park as there are tons of props to choose from. I have not yet tried building a custom coaster yet so will see how this goes. I prefer custom built coasters as a general rule. This is a fantastic game which reminds me of "bullfrogs" 1994 Theme Park game of which I must have spent hundreds of hours playing so am looking forward to the campaign. I have no regrets buying this.